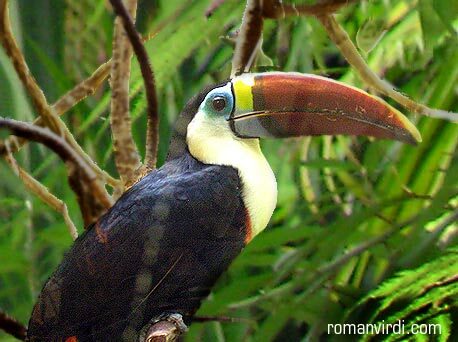 Costa Rica celebrates the wonders of nature. Having many national parks, each offering it's own unique ecology, flora and fauna, seeing more than one is mandatory. It is a country of volcanoes, the most prominent being the active Volcan Arenal. We also visited Volcan Poas and Volcan Miravalles. The country is quite well off economically with crime being significantly lower than Guatemala. People are friendly and helpful in a manner unknown to us yet: they want nothing in return for their helpfulness. A number of times we were offered help in the likes of 'did you understand what was just said'. Once the explanation was complete, the person offering help left. This was a welcome change from (especially) Cuba and Guatemala, where people always expected something in return. San Jose has a number of 'Tourist Information' offices, which are all just travel agents. The interesting thing is that their employees will take considerable time in offering all sorts of useful information and think nothing of it if you just say goodbye afterwards. There's no strong selling. This trip was from 20.4.2001 to 6.5.2001. Unique names: "Cabina", "Soda", "Pulperia"
If you cross the border from Sixaola to Panama, you might find a guy telling you what to do to cross the border, it's useful information. 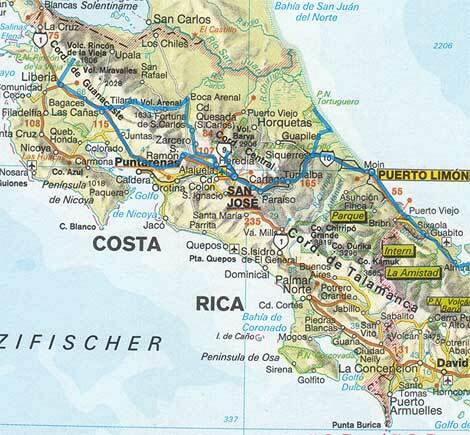 You DO need a red-cross stamp from the general store to exit Costa Rica!